The Real Housewives of Auckland are New Zealand's women of extravagant wealth and high pedigree. But when they're together, the six women find themselves fighting even when the cameras have stopped rolling. 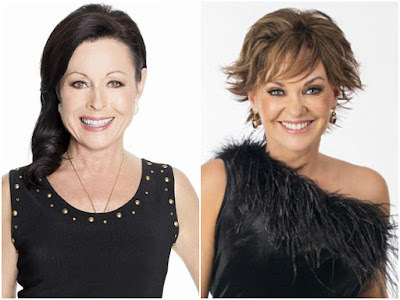 Anne Batley Burton and Louise Wallace dish on the upcoming drama and catfights and say they were ready for the drama. As two of the older women in the show, Anne and Louise both describe themselves as non-confrontational people. Louise, who has enjoyed a long career on television, says she is rarely one to pick a fight off camera. "I'm not usually a confrontational person unless I'm getting paid for it," she told The Daily Mail Australia. But after filming her first season of Real Housewives, Louise's husband Scotty noticed a distinct change in her personality. "He told me, "You talk to those women so differently than you talk to your own friends"," she said. "He said we all speak at high volume and are so direct and firing off – and I don’t talk to any of my other friends like that." The 56-year-old television veteran says she can't help herself when she's with the other Housewives - and neither can they. "It’s all high tension, high drama, and we can’t back off from it," she said. "We don’t climb down even when we’re off camera." Anne and Louise claim they were both left shocked by the fights, the drama and the tension on the show. It was a side of themselves they were unfamiliar with. "Much to our surprise - what you see on the show is pretty much for real," said Louise. "All the fur that flies, none of that is scripted." Knowing her own calm persona, Anne admits she initially had low expectations of how the Auckland spin-off would measure up to other series'. "At the start, I thought maybe this was going to be a bit boring," laughed Anne. "How wrong was I?!" The Real Housewives of Auckland airs Tuesday nights at 8:30pm only on Bravo New Zealand. For International TV Listings click here!